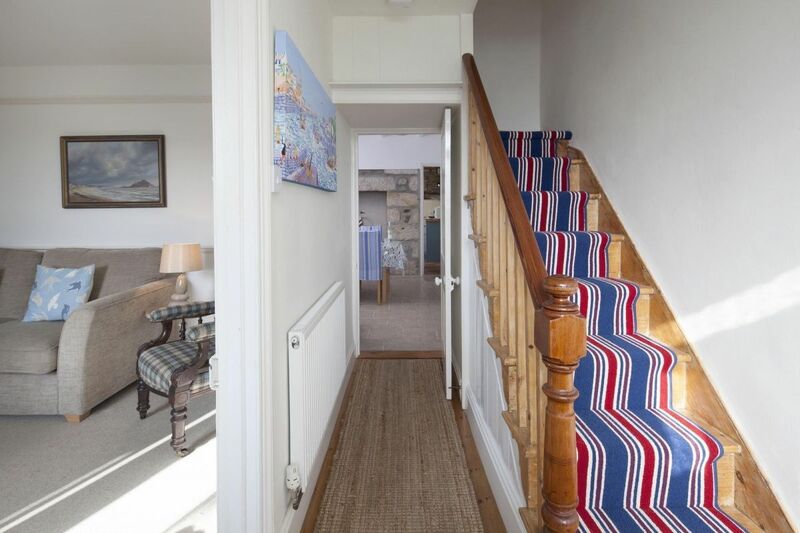 This cottage has been extensively renovated and refurbished and is deceptively spacious, with generous accommodation, 3 bedrooms, harbour views and courtyard with table and chairs. 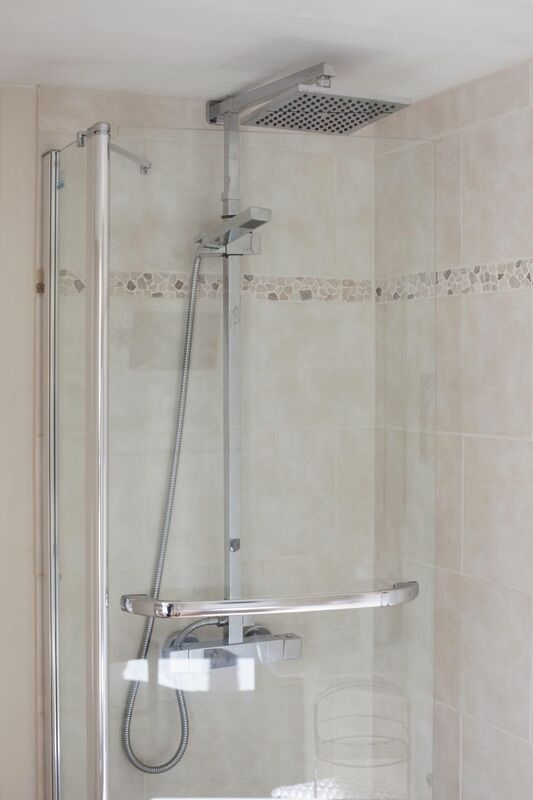 It is perfect for family groups and cozy for just two. 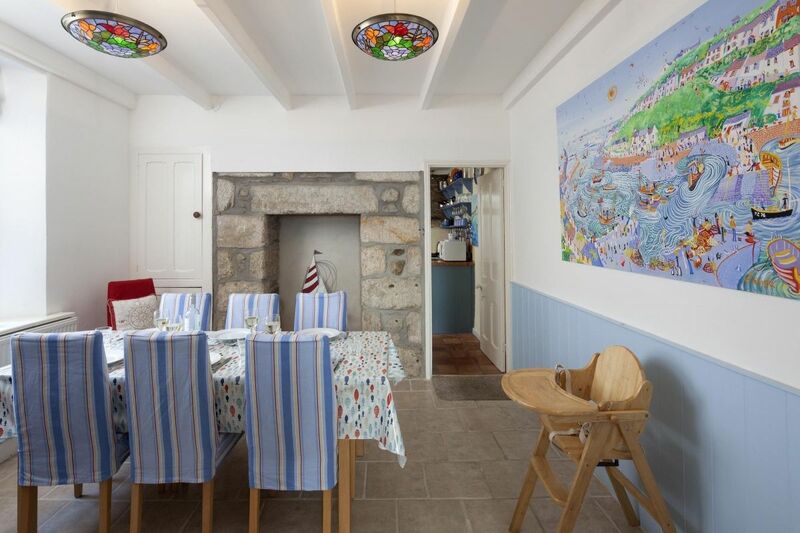 Crab Pot Cottage is a delightfully renovated Edwardian cottage situated above the harbour. 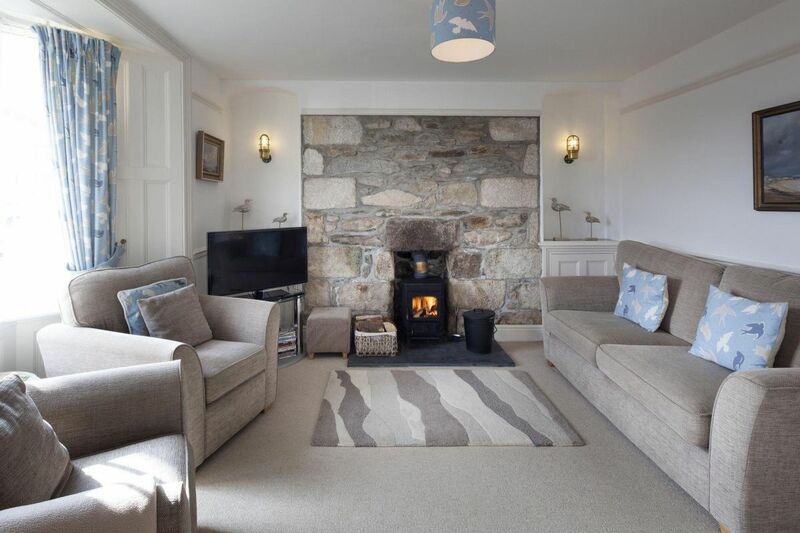 The charming interior with its exposed stone fireplaces, lovely country kitchen and harbour views, make it a perfect holiday retreat. 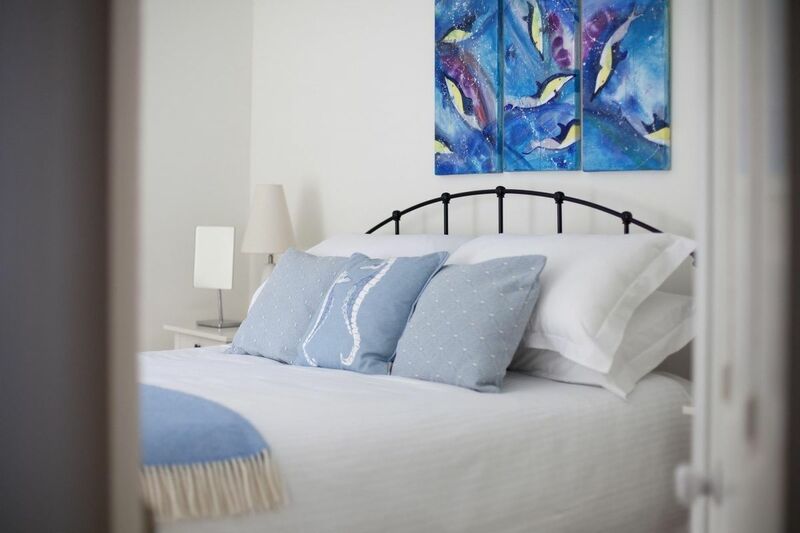 Being deceptively spacious, it is ideal for family groups and comfortable for just two looking for quality accommodation with a coastal theme. 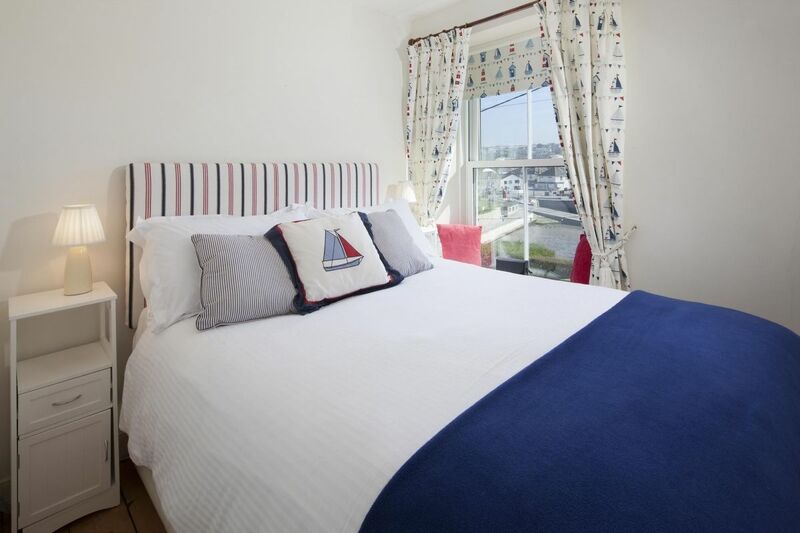 Crab Pot has lovely views being situated in an elevated position, close to the Harbour Head and the town amenities. 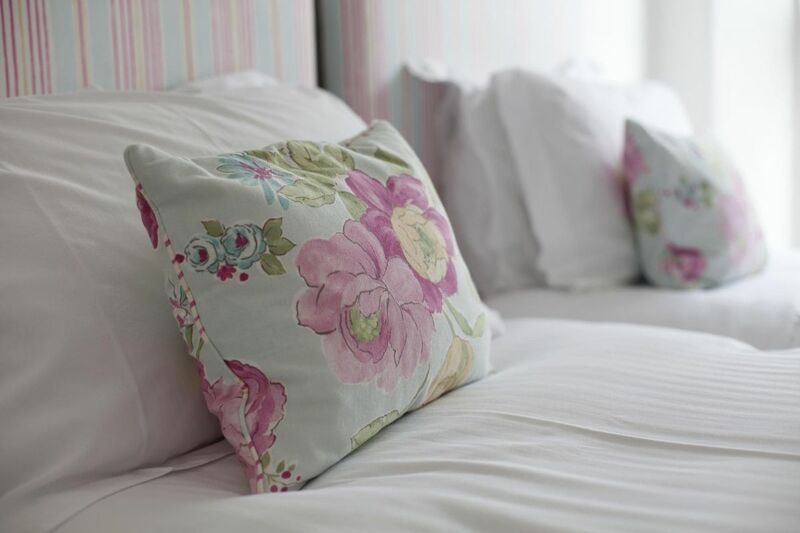 It has been imaginatively decorated with restful colours in the sitting room and bedrooms. 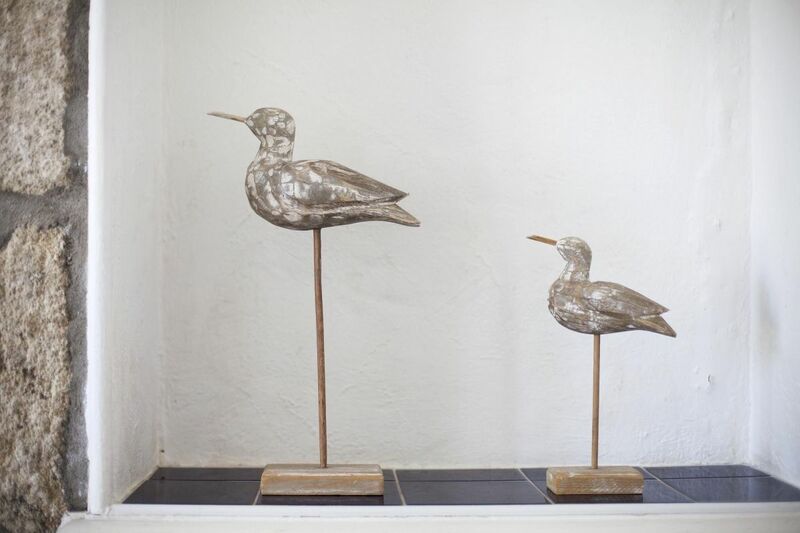 The quirky decorative touches and original artworks will make you smile and give the property individuality. 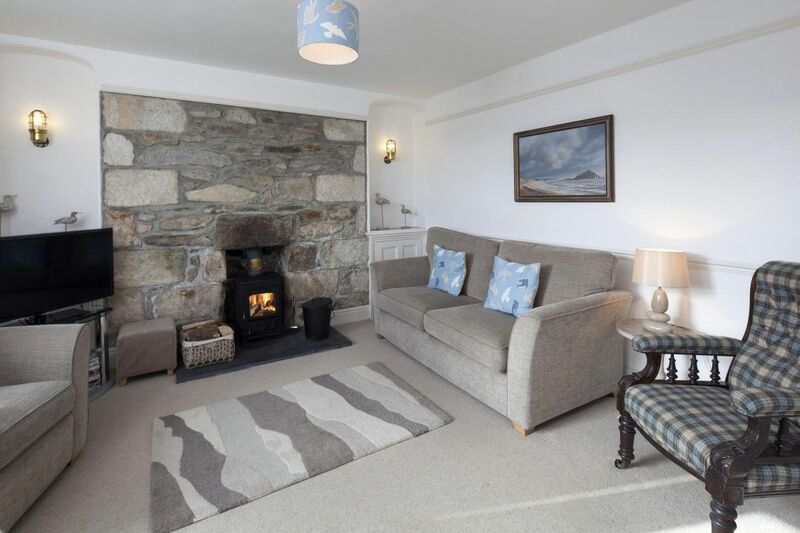 The spacious entrance hall leads to a comfortable sitting room with an exposed granite chimney breast housing a wood burning stove, comfortable seating and views over the harbour. 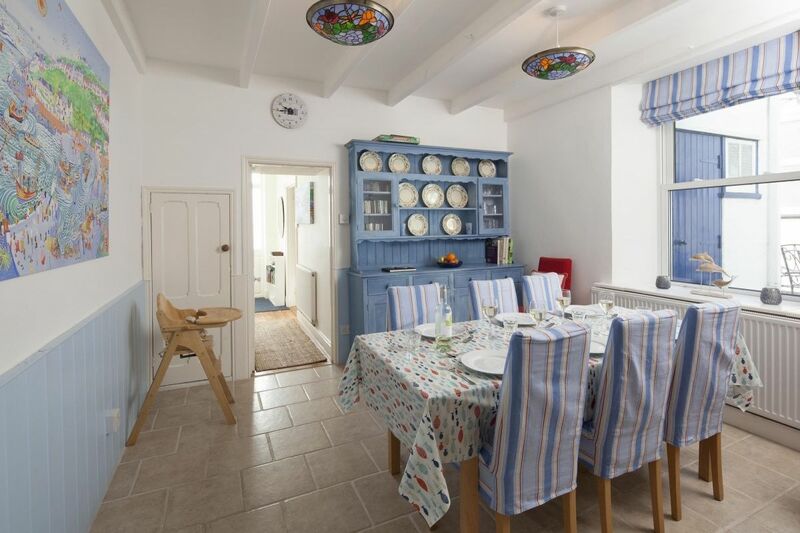 The separate dining room is furnished with a family sized table, upholstered chairs and a pretty painted dresser. 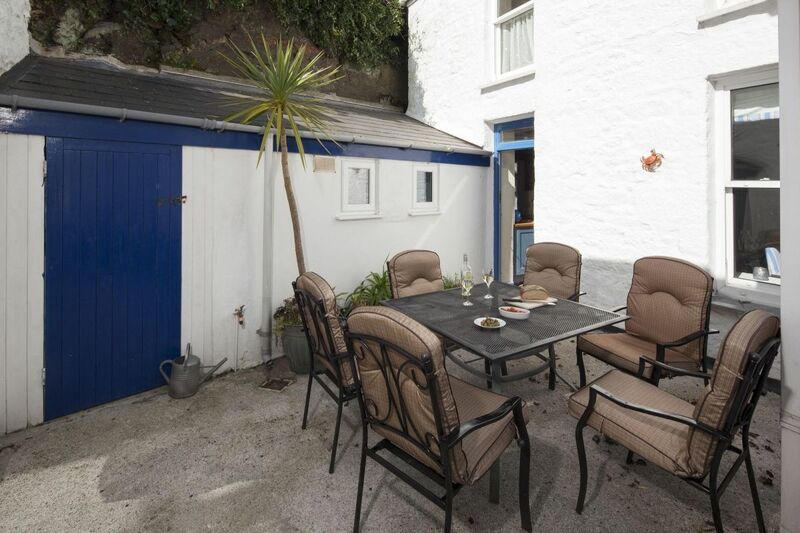 The small, but well equipped country sytle kitchen, with Belfast sink, painted units and wooden worktops leads out to a secluded courtyard perfect for breakfast in the morning sun. 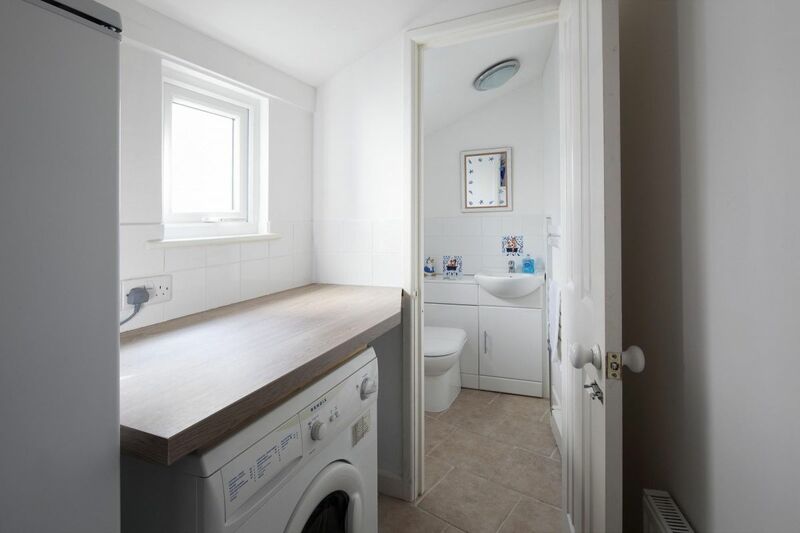 In addition there is a useful utility room with WC. 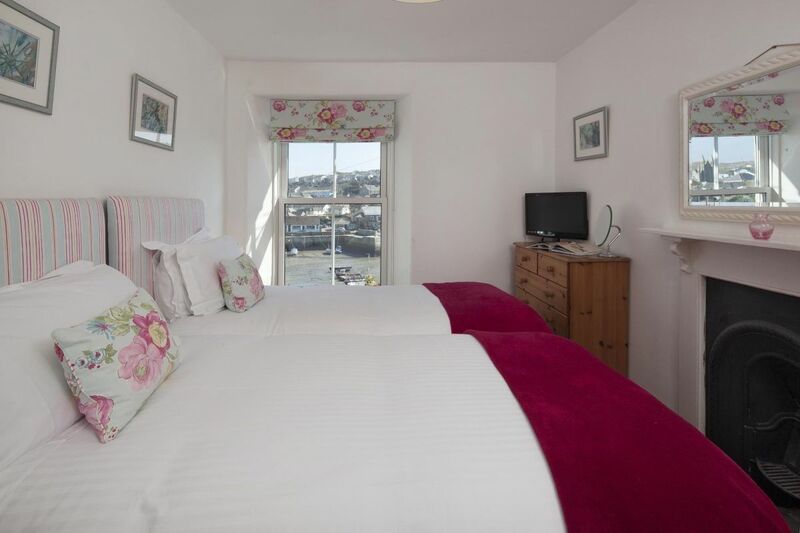 Upstairs the snug double bedroom has lovely views over the harbour, as has the twin bedroom next door, both sharing a generous shower room. 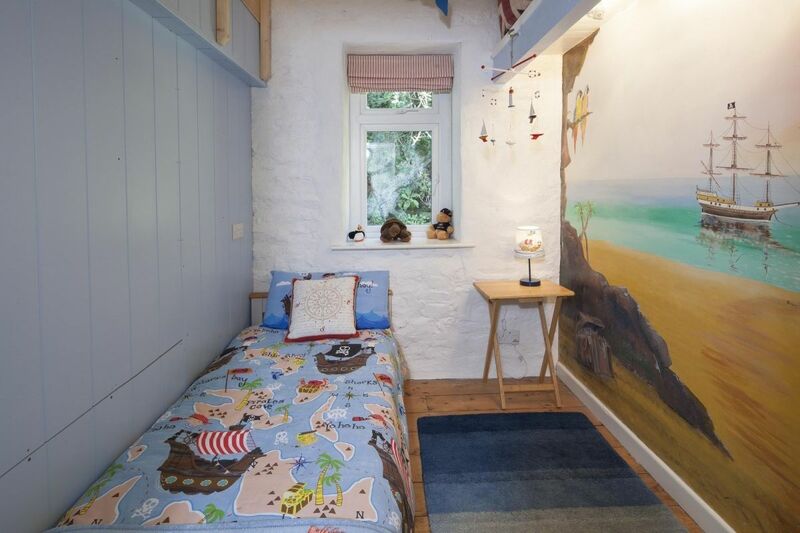 The master bedroom has a kingsize bed, fitted cupboards, en-suite bathroom and ‘The Smugglers Den’ adjacent to it, ideal for a child. First class holiday - again. Already booked again! 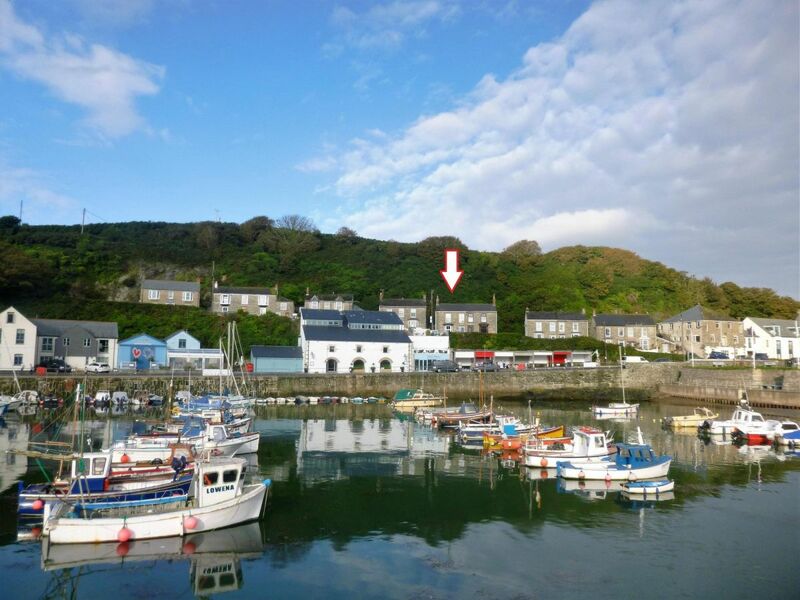 Crab Pot is a 'find' as is Porthleven with its excellent restuarants and historic harbour, we're planning to return. 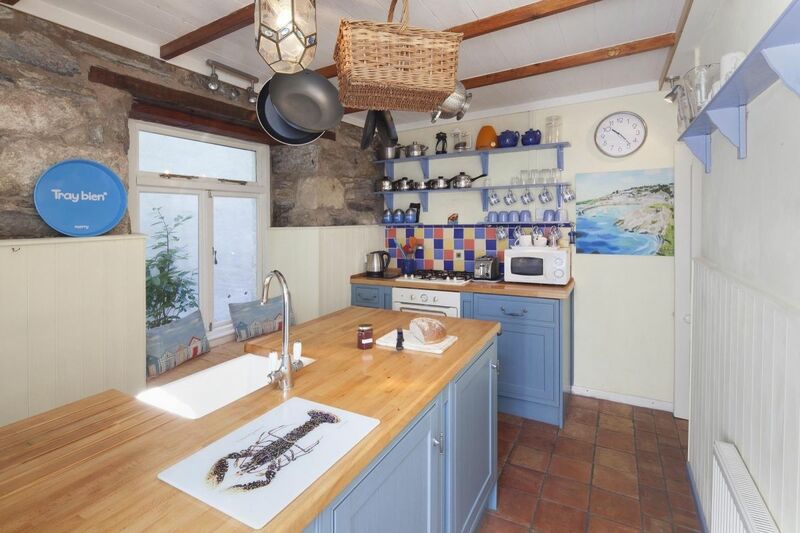 Loved Porthleven and loved Crab Pot Cottage. A wonderful escape from our busy lives. We'll be back. 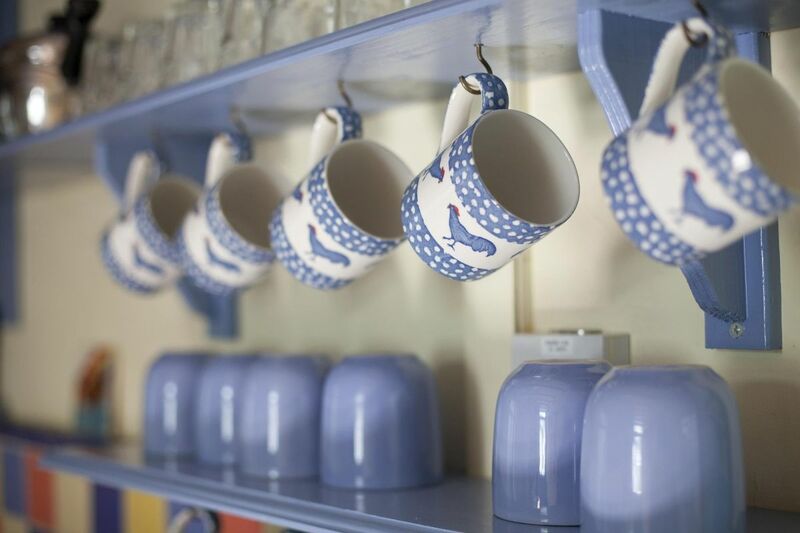 We adore Crab Pot Cottage, such a fab location in a foodies paradise. We can't wait to be back! 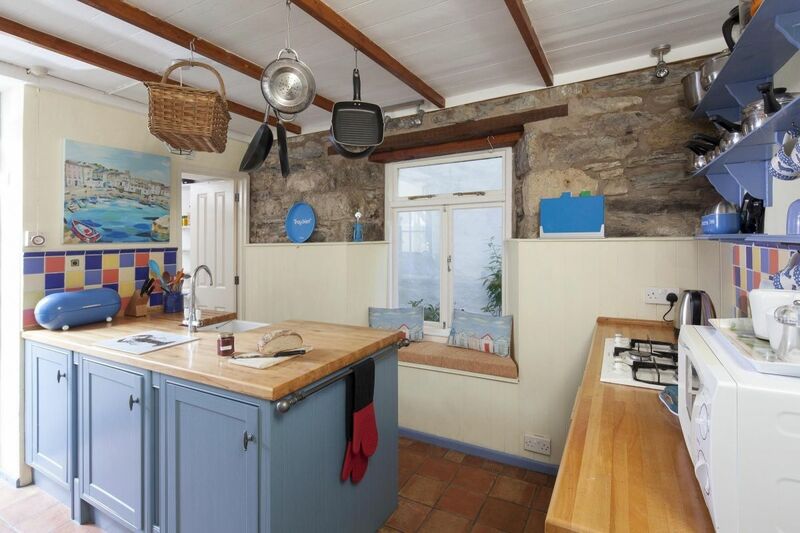 Beautiful cottage, lovely base for the week. Would recommend it to all. 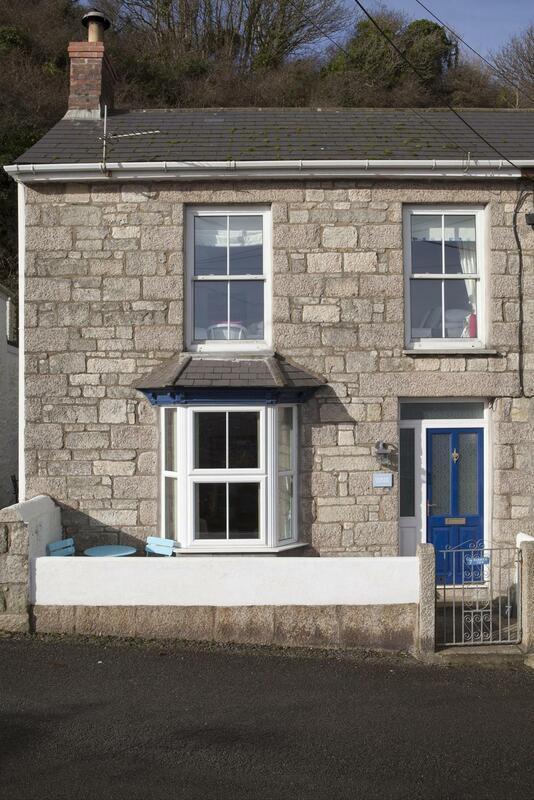 Lovely cottage and great location - thanks for another fab stay in Porthleven. 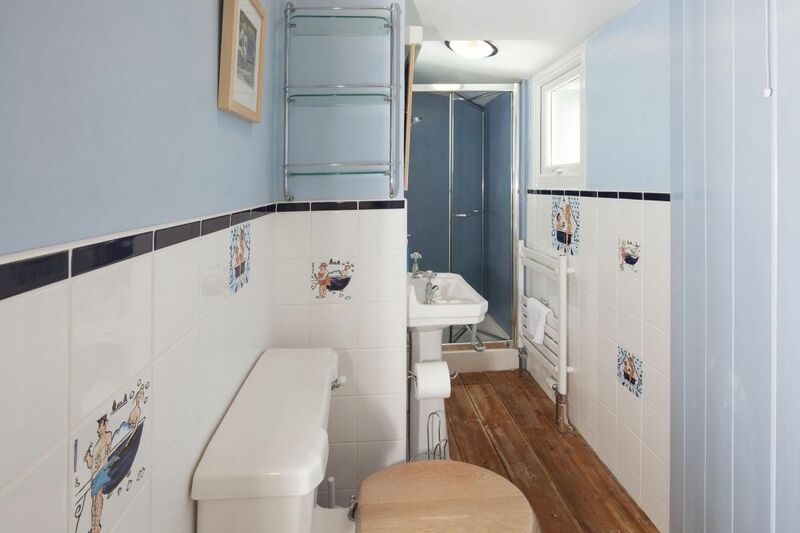 Excellent cottage in good location. Would definitely come again. 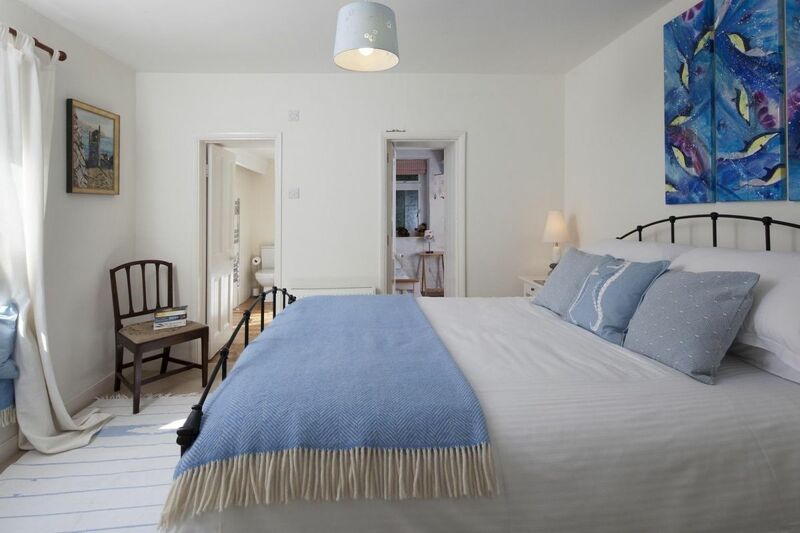 Another gorgeous Porthleven holiday (our 4th), second time at Crabpot which is close to perfect. The welcome pack and generosity of bathroom and kitchen stuff is much appreciated and the homemade strawberry jam is gorgeous! We'll be back. Thanks to you all at PHC and to Tina.